I have been a bit amiss from my blog writing duties as I have been way too busy consuming food on my honeymoon. My blogs of the future and expanded waistline will surely prove that I have broadened my food loving horizons. But for now, I hope you are all coping with the rainy Australian winter. Here is the recipe for my Dad's amazing French Onion soup which I grew up eating regularly. It’s great for week night dinners or as an entree to a winter dinner soirée. Serve with white wine! Melt butter in a large heavy based saucepan over low-medium heat, add onion and garlic and cook slowly for 30 minutes until soft and browned. 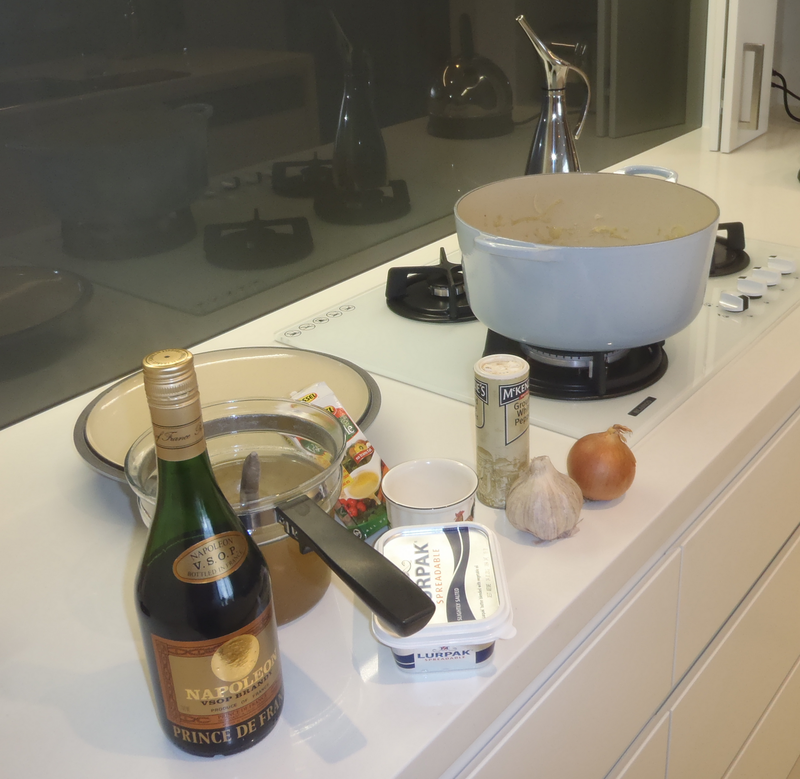 Add pernod and cook for a further minute, then add stock, water, worstershire sauce, salt and pepper. Cook for further 30 minutes, by simmering gently. Toast baguette, then grill the gruyere cheese on top, while the cheese is grilling serve the soup into 4 bowls and top with the bread, sprinkle with parmesan. 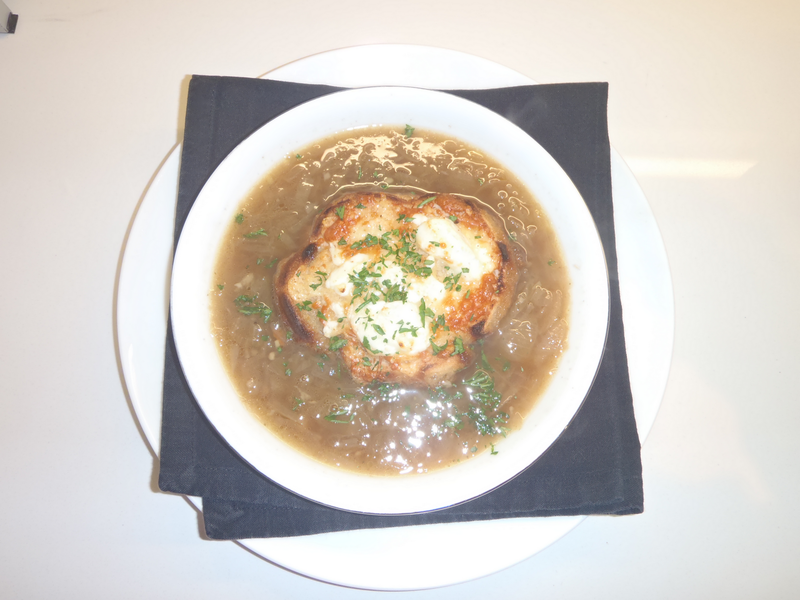 I love french onion soup, that looks amazing!